Found east of Australia, the remote sovereignty of New Zealand is one of the most unique places on earth thanks to its remoteness. It consists of two big islands and about 600 smaller ones. 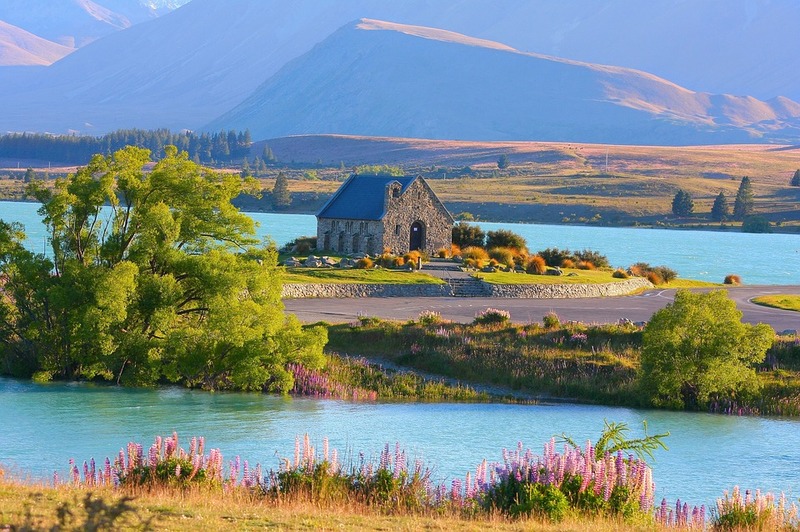 It’s become a hot tourist spot thanks to movies like “The Lord of the Rings” trilogy, so what should you be sure to do and see when you’re there? Hobbiton, the town where the hobbit heroes – Frodo, Sam, Merry, Pippin, and Bilbo – hail from. Speaking of “The Lord of the Rings,” did you know you can visit sights where the movies filmed? One of the most interesting ones is the set of Hobbiton, the town where the hobbit heroes – Frodo, Sam, Merry, Pippin, and Bilbo – hail from. The fantasy town has its own website where you can book tours, including a banquet tour at dusk that features a drink-and-dinner stop at The Green Dragon Inn. At the tour’s conclusion, visitors will walk back with handheld lanterns, feeling truly transported to another world. South of the city of Dunedin, which is found on the South Island, Tunnel Beach is known for its unique rock formations carved by the salty wind and pioneer-excavated tunnels just waiting to be explored. It’s easy to get to; the walkway is fenced. At the end, you find the rock tunnel, which was built in the 1870’s. Pay attention to the rock as you go through the tunnel, as it’s possible to find shell fragments, fossils, and more. On the northwestern part of the South Island, you can find the Abel Tasman National Park, which is home to the Abel Tasman Coast Track, one of New Zealand’s nine Great Walks. If you prefer to be on the water, kayaking is also available in the park’s coves. It’s not uncommon to see dolphins in the turquoise sea. Learn about the local history and Maori culture. If you’re in Wellington, New Zealand’s capital city, be sure to stop by the Te Papa Museum. You’ll learn about the local history and Maori culture, which has been historically both exploited and oppressed over the years. The rotating line-ups include exhibits on nature, traditional weaving, tattoos, and more. Kaikoura, which is also found on the South Island, is one of the best places in the world to see whales. Tours will refund 80% of the ticket price if you don’t see any. It’s especially common to see sperm whales, as well as dolphins and southern fur seals, who like to hang out at low tide. Named one of the most surreal place sin the world, the Wai-O-Tapu sulphur springs can be viewed safely from walking trails. You’ll see geothermal pools, acidic lakes, and volcanic craters, which feature gorgeous colors. The wonderland is also home to the Lady Knox geyser, which erupts up to 10-20 meters (55-65 feet) every day at 10:15 in the morning. If you find yourself on the North Island, be sure to visit Waitomo caves, which is home to countless glowworms. These bioluminescent insects use light to attract insects, filling the darkness with a gorgeous blue galaxy. You can walk or go on the famous boat ride. New Zealand is famous for its wine. One of the best ways to drink it all in is to take a half-hour ferry ride from Auckland to Waiheke Island and its vineyards. Sample and sip while marveling at the beach views. When you’re in New Zealand and Australia, odds are you’ll see (and most likely taste) vegemite. What exactly is this salty sandwich spread?